Club Drugs: A Growing Problem in Casinos and Industry Hot Spots – TAM Card® Nation in Vegas! Drug use continues to rise in our casinos, clubs, pools, concert venues and bars. The Gaming Control Board has alerted casinos and other establishments that this behavior will not be tolerated (State of Nevada Gaming Control Board). Is it possible to deal more effectively with this growing problem? Use of club drugs such as ecstasy, ketamine, GHB, and others is on the rise and establishments are tasked with working to keep patrons safe, so it is imperative that staff knows how to spot and deal with these risky behaviors. Do you know how to spot and effectively deal with customers who are under the influence of drugs? Watch for customers who are behaving erratically or exhibit symptoms of possibly being under the influence of drugs such as loss of coordination, dizziness, fainting, confusion or slurred speech (SAMHSA). Be alert. If you suspect that your patron may have smuggled in and used club drugs at your establishment, you should treat them just as you would with someone who has had too much to drink. Alert your manager or supervisor so that they can intervene if necessary. Remember, some club drugs such as Rohypnol may be lethal when mixed with alcohol and/or other depressants (National Institute on Drug Abuse). Given this, it is even more important to gauge a customer and situation before serving an alcoholic beverage. Always check your employee handbook or company policies regarding how your employer handles these types of situations. You need to be aware of both company policies and you may have to report any suspicious behavior or anything that makes you uncomfortable to a manger. There may even be rules dictating that the person is escorted safely off of the property. You can learn more about managing patrons from seasoned industry professionals with real-world experience by taking the Techniques of Alcohol Management (TAM) ® course offered by TAM® of Nevada. 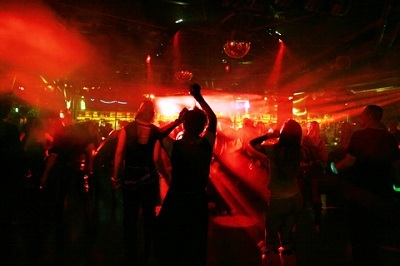 How have you chosen to identify and respond to situations of club drug use?